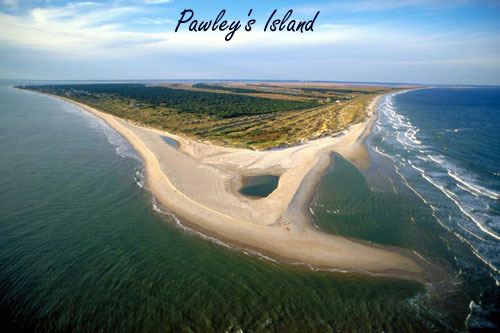 Pawleys Island lies on the southern-most tip of the Grand Strand, and between Murrells Inlet and Georgetown. If Murrells Inlet is the definitive "low-country", then Pawleys Island is more of the same, but without the fishing atmosphere. There are two bridges for entry onto the beach/island portion - one on each end. As much as the mainland part of Pawleys has built-out, the island portion is set apart, and the homeowners strive to keep it that way. The beach homes for sale in Pawleys Island are not inexpensive, but they range from small to elaborate, and in many price ranges. Pawleys Island is best known for two things - hammocks made by the locals, and the public beach access at the southern tip of the "island", called Pawley's Point. The land is actually on a narrow peninsula, with the Waccamaw River's semi-salt water on one side, and the ocean on the other. They meet at this tip, and make a very unusual as well as beautiful natural merging of the two bodies of water. Some of the houses close to the tip are historic landmarks, although Hurricane Hugo took down many that have now been replaced with multi-million dollar beach homes. Originally the river was home to several wealthy rice planters, including George Pawley, whose name was given to the community. 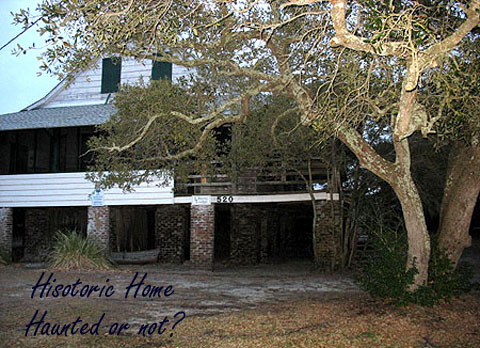 It is said that you can almost feel the Civil War ghosts on a hot and steamy evening in Pawleys, and some of the beach homes can really give you the shivers after dark. Pawleys is also home to several of the best golf courses and the finest luxury communities to go with them. 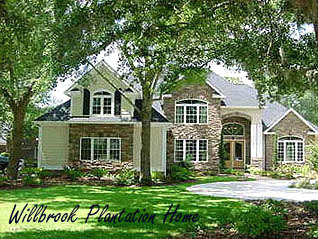 Willbrook Plantation is found on the west side of Hwy 17, with its gated neighborhoods and exclusive homes. If you value your privacy and love the eternal rolling green of a golf course in your back yard, Willbrook is one of the finest. On the oceanside, you will find Pawleys Plantation, as well as Litchfield Beach, both very secular and exclusive, they carry the prices to keep them that way. The homes in all of these communities are gorgeous, with upgrades like trey ceilings, plantation shutters, elaborate landscaping, and classic architecture. There are also some fabulous condo resorts in the city that shouldn't be missed. These are not your typical Myrtle Beach resorts, but more like the classy million-dollar condominiums in Boca Raton or South Beach. One resort you should make a point to see is Crescent at Litchfield Beach. Litchfield Beach itself tries to stay closed to the public, and there are some celebrities that have vacation homes in this exclusive part of the area. There are so many different kinds and prices of homes on the island and west of Hwy 17. Browse the examples below or use our advanced search tool to see what is available. We specialize in beach homes on the south end, so we hope you will let us show you the area and make your search for Pawleys Island Real Estate fun and productive.